What should I know about transitioning a preschooler with special needs? If your child has special needs, you may have additional decisions to make about the length of your child’s school day, different school sites, or program types. It is important to begin working with the school team as early as possible so that everyone, especially your child, feels comfortable with all the changes that will occur. For incoming kindergartners with special needs, the federal special education law (i.e., the Individuals with Disabilities Education Act) allows the school team to develop either an Individual Family Service Plan (IFSP) or an Individualized Education Plan (IEP). However, no matter which plan your child has, it should be appropriate for a kindergarten-aged child rather than for a preschooler. Kindergarten classrooms of today hardly resemble those of your childhood memories. Today’s kindergarten classrooms have high expectations for children’s academic achievement, socials skills, and independence. Parents should also have high expectations for their child’s kindergarten program. • Support and encourage all children, regardless of prior preschool experience, culture, language, ability, or disability. • Use teaching practices that are challenging but appropriate for kindergarten-aged children. • Encourage children’s enthusiasm about learning. • Provide a balanced curriculum with activities in language arts, mathematics, science, social studies, art, and physical education. • Invite parents to participate in their child’s education. 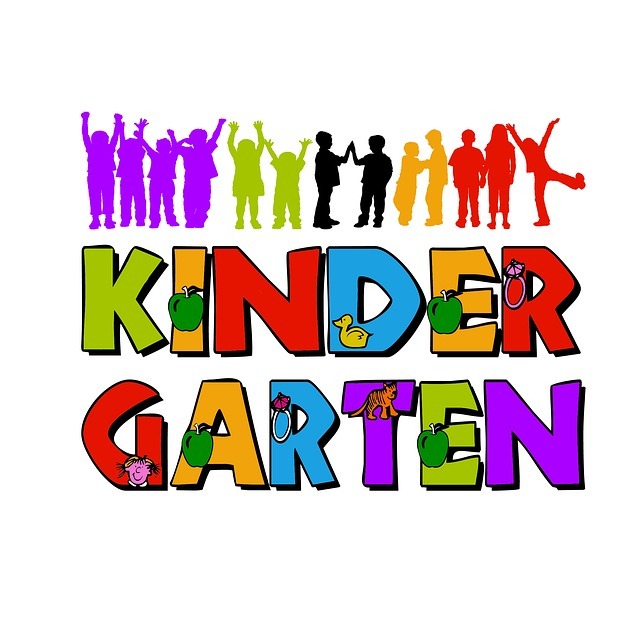 • Decide which kindergarten program your child will attend. • Request an enrollment packet from the school—notice the important dates and deadlines. • Schedule an appointment with your child’s pediatrician to make sure that his or her immunizations and health screenings are up-to-date. • Give your child’s current preschool program permission to share documents and information with the new school. • Attend an open house or schedule a tour of your child’s new school before school starts. • Meet your child’s new teacher and share your ideas about your child’s interests, strengths and any areas of concern. • Find out how you can become involved in your child’s classroom, school committees, and the PTA. What can I do to prepare my child? • Read books about starting kindergarten. • Talk enthusiastically with your child about starting kindergarten. • Reassure your child’s feelings of anxiety or fear. • Plan for your child to visit his or her new school. • Tell your child about the kinds of work he or she will be doing in kindergarten. • Talk about and practice new routines. • Spend extra time on the first day of school but do not “drag out” saying good-bye. Mrs. Bindergarten Gets Ready for Kindergarten. What Do We Say? What Do We Do? Vital Solutions for Children’s Educational Success and Creating Positive Home School Connections.